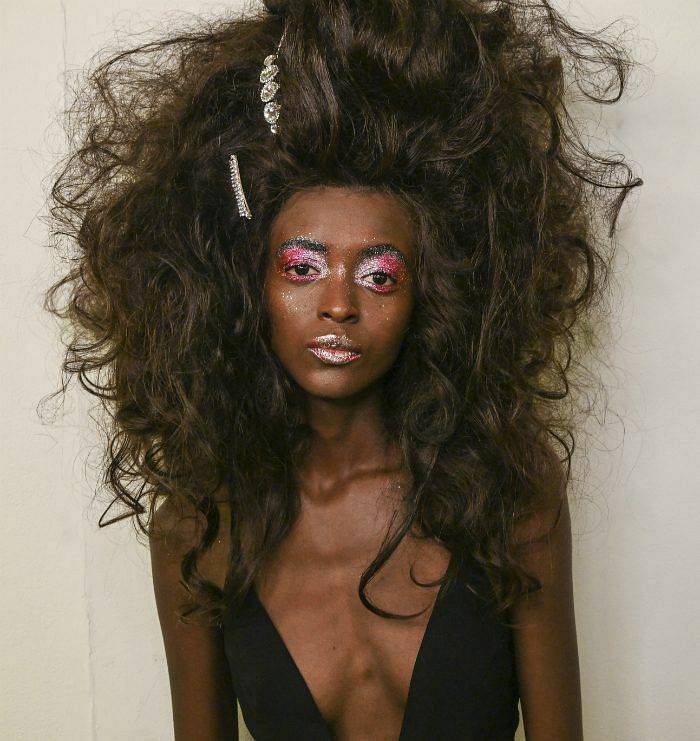 Fashion month has come to an end which means festival season is fast approaching, so what better way to get ready for the raves than to look to the runway for the coolest, wildest, and most out-there beauty looks to recreate in real life? 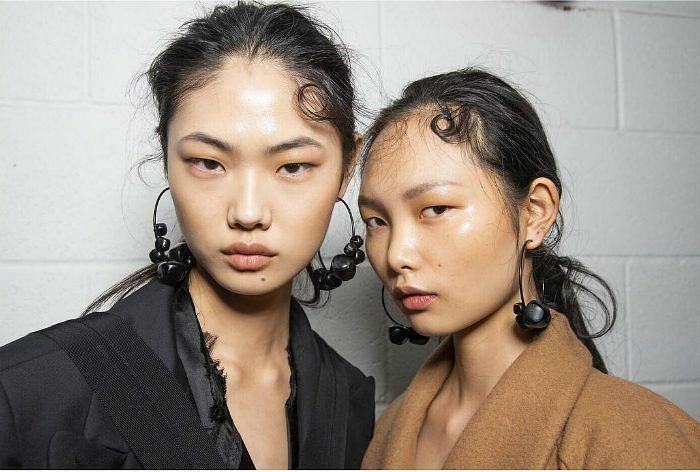 With these makeup and hair trends seen all over the fall/winter 2019 catwalks, it doesn’t matter which music festival you’re hitting up because all eyes will be on you. 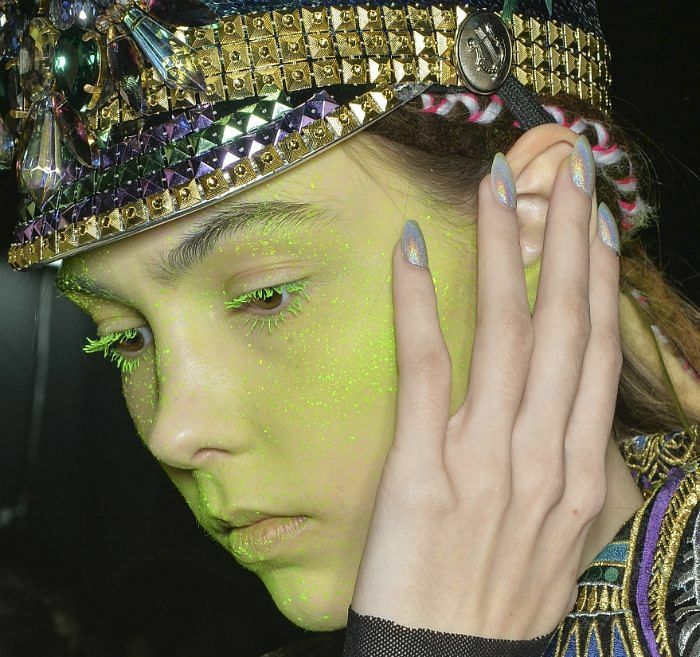 The neon trend is here to stay, so switch it up by coating your lashes in ultra-fluorescent mascara as seen at Manish Arora. This easy to achieve, the-messier-the-better look is perfect for the festivals, especially with waterproof formulas that will keep your lashes lifted and bright. Guido Palau’s kiss curls masterpiece at Burberry had its well-deserved viral moment – it just looks so cool. While none of us mortals could achieve this level of intricacy, try your hand at a simpler version with some hair gel. Will they stay? Probably not. 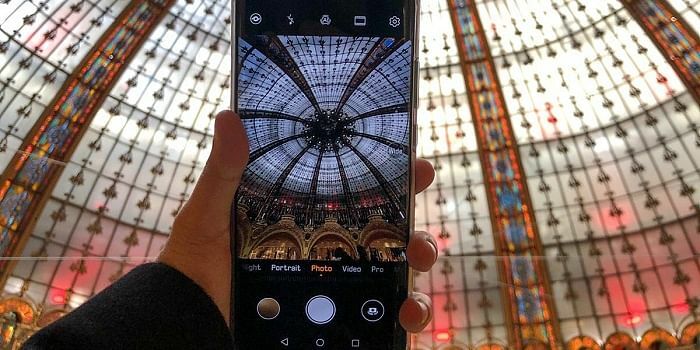 But will it make for the most epic Instagram picture of all time? Definitely. 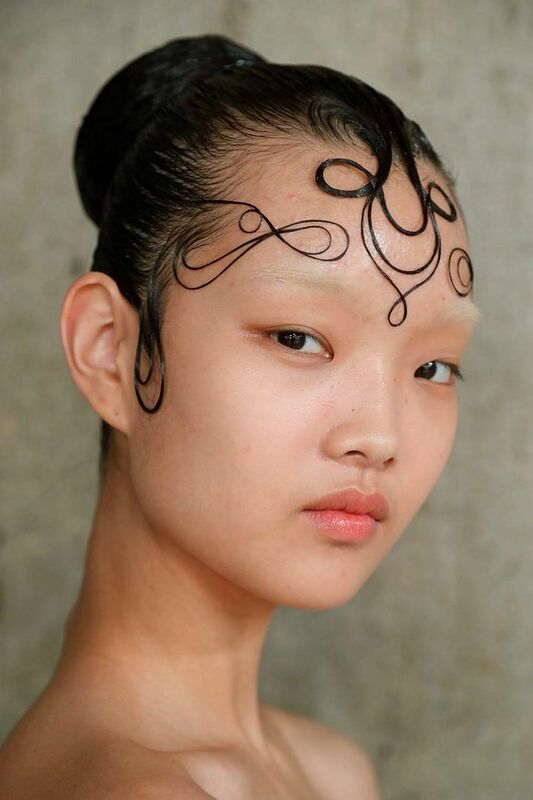 Our hearts legitimately skipped a beat when we saw this watercolour makeup on the Eckhaus Latta runway. It’s delicate and feminine while being high drama, perfect to pair with all those flowing, bohemian looks you want to rock at the festivals. This brighter version seen at Collina Strada practically glows neon, so we say – two trends for the price of one. It goes without saying, festival season means: Glitter. On. Everything. 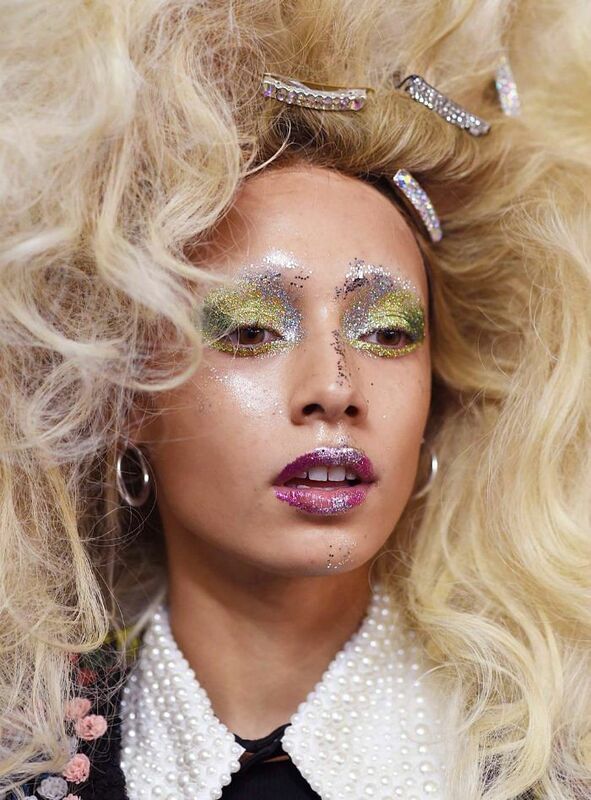 At Ashish, guests were hypnotized by big splashes of chunky glitter, but take it from the professionals, there’s no one way to do it. 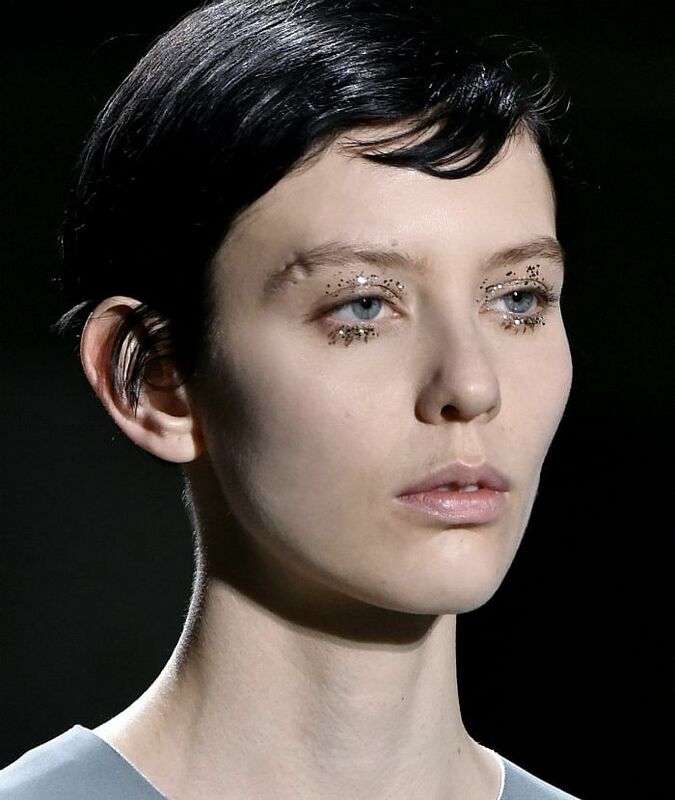 For a more pared-down look, Dries van Noten’s glitter flecks on the lids and lashes gave a cool, just-rolled-out-of-bed look. Lazy girls, your time has come. 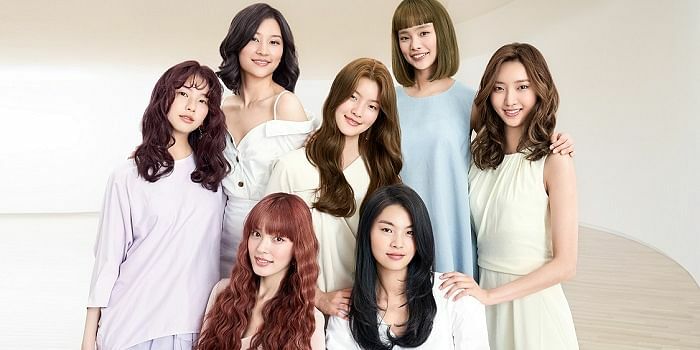 This is one of those trends that had us doing a double take seeing it all over the runways this season, but it’s fun and easy – a perfect fit for festival beauty. 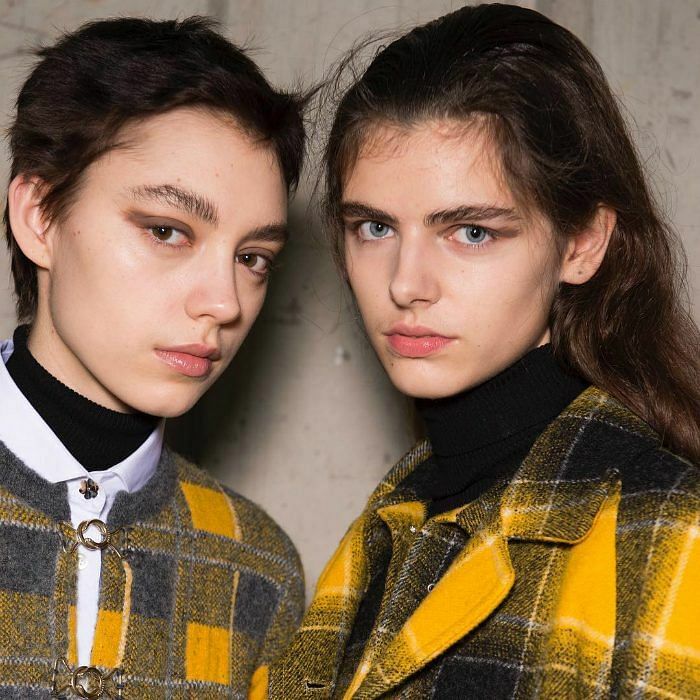 At Alexa Chung, balloons were used to create a teased and frizzy hairstyle (no, we can’t believe it either), while a subtle version at Preen by Thornton Bregazzi showed off soft, messy baby-hair.